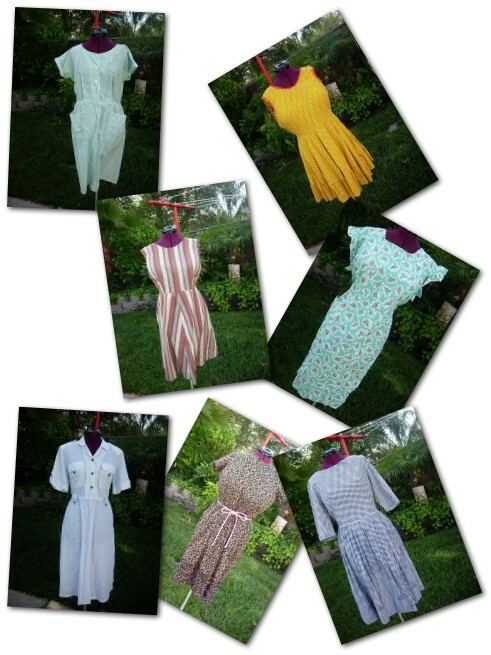 All you Curvy Kittens out there need to head on over to the Vintage Housewife's Closet. The lovely Cat has 7 vintage dresses up for grabs. It's easy to enter, just leave her a comment! For extra entries, comment on both blogs, follow both blogs and whine about why you want her dresses! There are lots of sizes available so pop in and leave a rootin' tootin sassy comment for our favorite Vintage Housewife!